The “Eyes Have it” Droopy Eyelids? Droopy eyelids, puffiness, wrinkles and bags under your eyes can make you look older, worn and tired. Factors that affect the decision to receive blepharoplasty include age, skin type, ethnic background and the degree of vision obstruction. Drooping of excess skin around the eyes can impair peripheral vision and cause difficulty while driving and reading. Eyelid treatments can be considered for cosmetic or functional reasons and may include surgery, lasers, radio frequency tightening and peels. Surgical upper eyelid blepharoplasty removes excess upper lid skin and fat via an external skin incision placed in the upper lid crease. Lower eyelid blepharoplasty uses an external incision below the lash line and addresses bulging (herniated) fat, puffy eyelid “bags” and wrinkling. Lower lid fat may also be removed without any incisions in the skin using a procedure known as transconjunctival blepharoplasty where a CO2 Lumenis Laser or the Ellman RF device may be used. After surgical blepharoplasty the eyes do not need to be covered. Cold compresses and head elevation when lying down enhance healing and moisturizing eye drops may be recommended. Some initial swelling and bruising occurs but mostly subsides within a week or two. 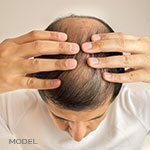 The final results can take several months to reach maximum improvement due to ongoing tissue tightening and stabilizing. Normal activity can be resumed within two days after surgery though strenuous exercise should be avoided for two to three weeks. In a non-surgical “blepharoplasty”, most appropriate for patients with early rather than advanced signs of facial aging, a combination of lasers (e.g. Fraxel or CO2), Thermage, injectable fillers (e.g. autologous fat, Juvederm, Restylane) and Botox can be used to reduce wrinkles, tighten skin and lift the brow resulting in a more youthful appearance. 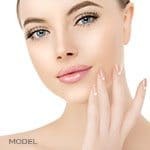 To find out more about surgical and non-surgical blepharoplasty and other procedures offered at the MilfordMD Skin and Laser Center, please call 570-296-4000.